The island of Giannutri with its unmistakable shape of a crescent rises in front of the promontory of Monte Argentario and is the southernmost island of the Tuscan archipelago. 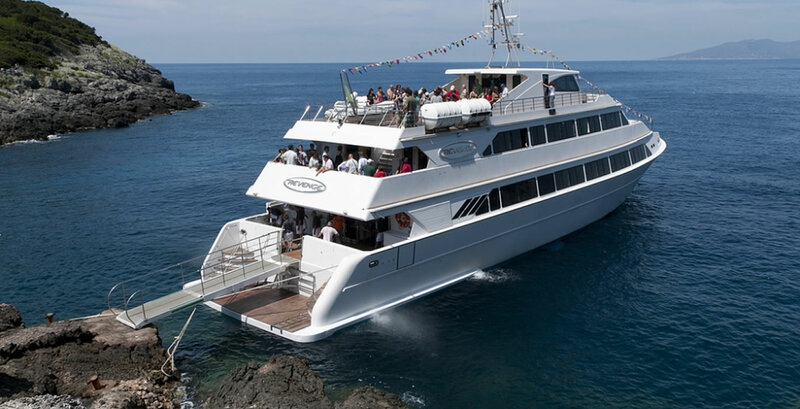 It is 15 kilometers from ISOLA DEL GIGLIO and 23 from Porto Ercole. Despite the villas that sprout between Cala Maestra and Cala del Spalmatoio (the island is privately owned), the low Mediterranean scrub still reigns with its colors and fragrances. Step by step for a myriad of birds that reach Europe to nest, it is the pond swinging ground and is colonized on the coasts by the numerous real gulls. The limestone nature and the exceptional water transparency, the extraordinary biological diversity and the presence of wrecks make these seas unique, attracting thousands of divers every year. Certainly it was already inhabited in prehistoric times (as evidenced by the numerous finds of weapons and utensils) and was frequented by Etruscans and Romans. There are still some wrecks of merchant ships still on the seabed of this stretch of sea, witnesses to ancient maritime traffic. 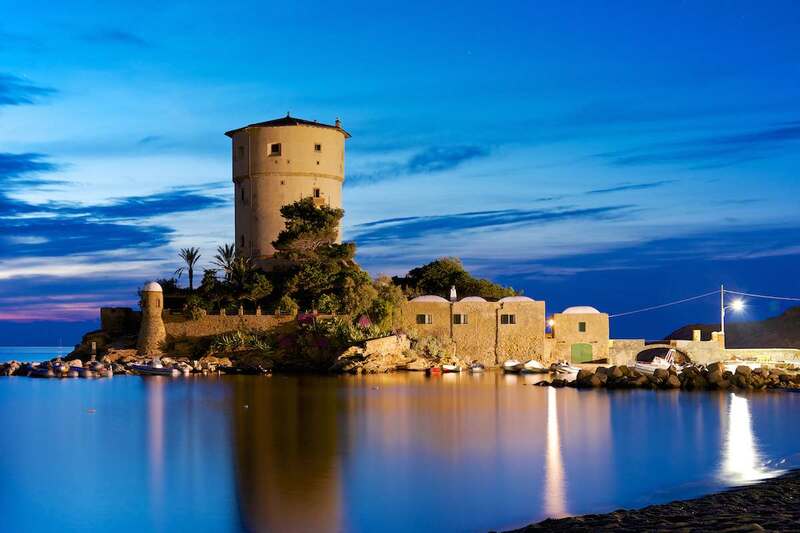 Like a pearl in an oyster, the small Giglio isle lies cradled by warm blue seas in the southern corner of the Tuscan Archipelago, 50 km south of Elba and 15 km from the mainland, the promontory of Monte Argentario. Giglio's mild climate, unspoilt nature and crystal clear and emerald coloured waters offer an unforgettable time! Along the promontory, we will sail to Giannutri, which is reached after about an hour. 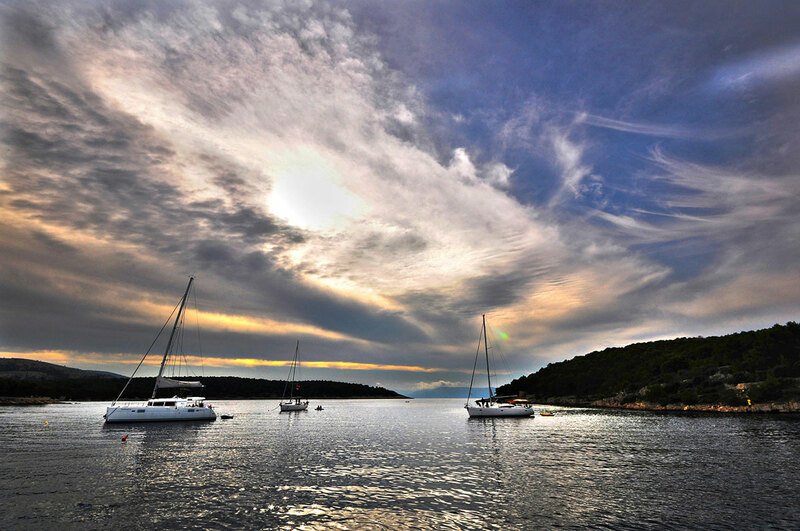 Stop with time at leisure for a bath in the lovely waters of the island. Lunch on board, cooked at the time and served at the tables in trays, with drinks. Departure to Giglio Island. 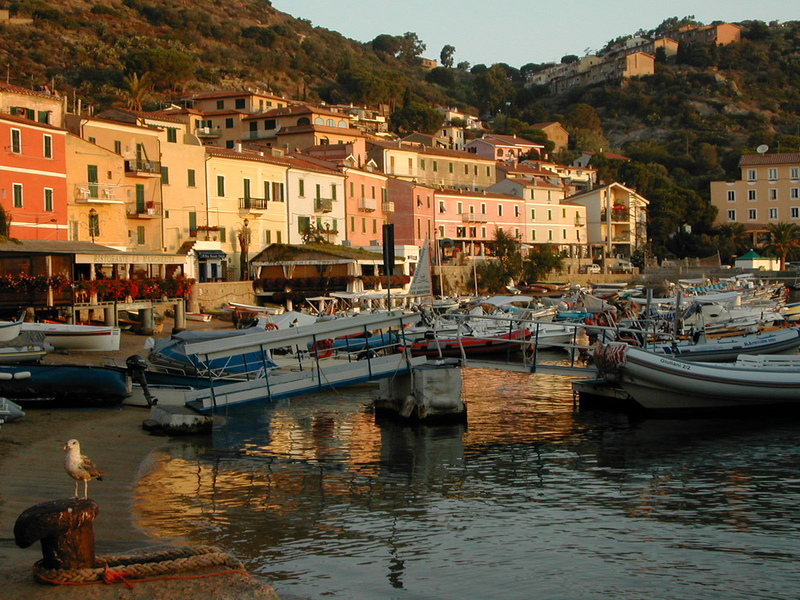 Time at leisure for bathing in the nearby beaches or walking around Giglio Porto or the ancient Giglio Castello.